David Burrows Electrical Limited is North Enfields independent electrical, security, D.I.Y. and building supplies, one stop shop. We are a small independent company founded in 1974. Originally we only sold electrical products but over the last few years we have increased our product range due to demand. We now include Security Devices and Lights, D.I.Y Tools and Building Materials, Plumbing supplies and general Hardware. Our stock includes electrical equipment, all types of lamps, lighting fittings, space heating and ventilation equipment, all types of D.I.Y. 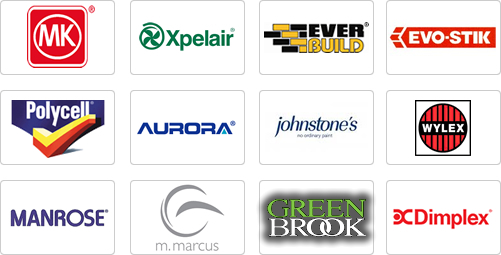 products (silicones, filler, brushes, cement, plaster, etc.) and a comprehensive range of tools. We are committed to maintaining a good stock profile and our trade counter prides itself in having good friendly staff who are good listeners and have good product knowledge. We can source both standard and specialised requirements quickly. We have re-launched our on-line secure shopping facility, at present we have a few of our thousands of products shown and we are gradually adding to each week.